Great host. Beautifully decorated, clean apartment. Fruits in the breakfast was great. 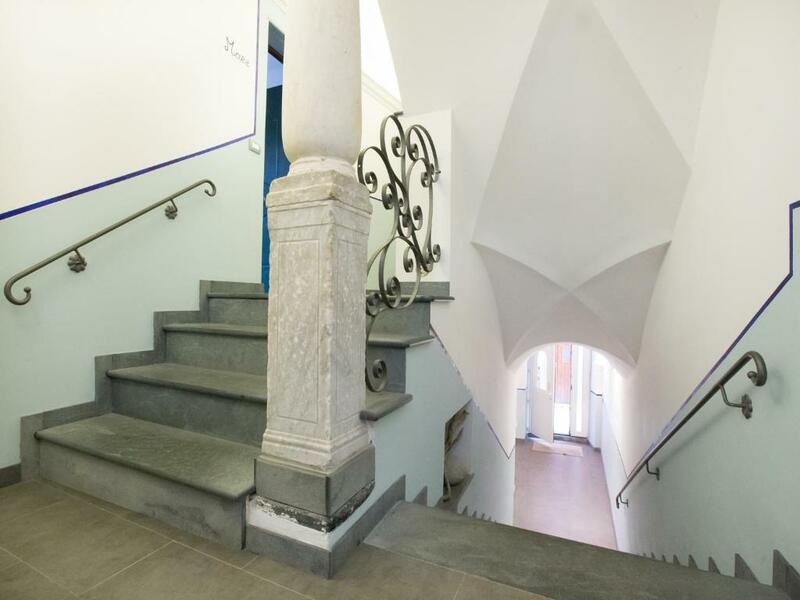 The property was in the heart of Monterosso convenient to shops , restaurants and the harbor. The owners were delightful and provided a lovey breakfast at their restaurant. The apartment was spacious , bright and airy, and tastefully decorated in a seaside theme. We will stay again when traveling in this region. Marco was wonderful. Met us and took us to the apartment to show us everything. Left us some snack cakes and cookies and brought us coffee filters and coffee.Had a washing machine and we had a little clothes line outside our window which was great to catch up on a little laundry. Breakfast each morning had a variety of items in a nice buffet. Mario was a gracious host and we loved our stay in Monterosso! The room was clean and comfortable and the young man who showed us to our room carried my bag up the stairs and gave us all kinds of great information about the area! The croissants at the included breakfast were the best I've ever eaten...so flaky and delicious! The apartment is in a great location in what we felt was the most charming village of all five we saw! We would recommend to anyone! The apartment was great and had everything that you need. The little bar where we had our included breakfast was lovely and our host Mario was so friendly and helpful. Fantastic location. Comfortable room. Quiet. Nice breakfast. Lock in a great price for A Ca Da Vaniglia – rated 9.1 by recent guests! 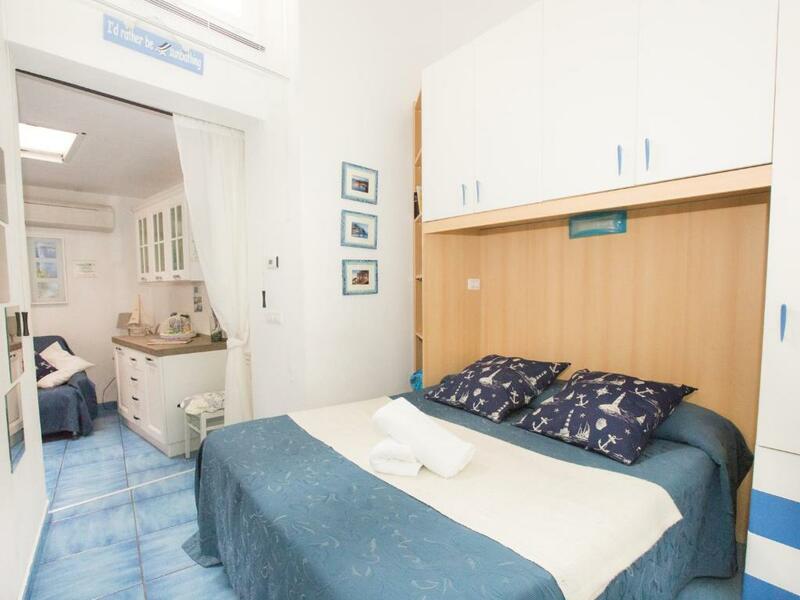 Located 650 feet from the sandy beach, A Ca Da Vaniglia offers self-catering apartments with free off-site parking in Monterosso center. Each apartment features an open-space area with kitchenette, dining area and sofa. The bathroom is complete with a shower. A sweet and savory breakfast featuring organic products is served daily at the bar 150 feet away. A Ca Da Vaniglia is 2,650 feet from Monterosso Train Station. 뀐 Located in the top-rated area in Monterosso al Mare, this property has an excellent location score of 9.3! When would you like to stay at A Ca Da Vaniglia? This apartment features a kitchenette, dining area and bathroom with shower. This studio has a sofa, kitchenware and air conditioning. Hosted by Ciao sono Valentina e questa e' la mia Famiglia. Ciao sono Valentina e questa e' la mia Famiglia. Gli appartamenti A Ca' da Vaniglia, sono due bilocali , (ristrutturati nel 2010)situati nel pieno centro storico di Monterosso al mare la più' grande delle 5 Terre.In un tipico CARUGIO Ligure, vicino a ristoranti, negozi, in zona pedonale a 50m dalle spiagge, sia private che libere. 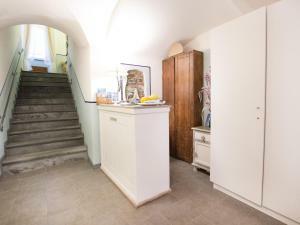 Negli appartamenti troverete tutti i confort, aria-condizzionata,wi-fi,riscaldamento,cucina, macchina del caffe',bollitore ecc. Nella nostra Enoteca Internazionale (a 50m dagli appartamenti)saremo a vostra disposizione dalla mattina alle 8,00 alla sera alle 22,30, la mattina vi offriremo un'abbondante colazione, sia Italiana che Internazionale. 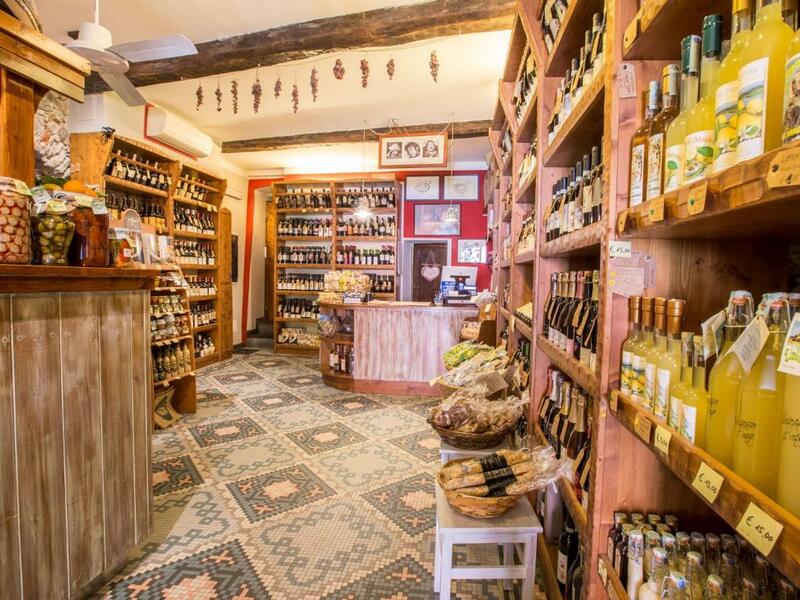 Ciao sono Valentina, assieme alla mia famiglia gestisco questa struttura e anche l'Enoteca Internazionale, il più' antico negozio di vino delle 5 Terre, qui ci piace coccolare i nostri ospiti con abbondanti colazioni, aperitivi, spuntini,bruschette,degustazioni guidate da esperti Sommelier,e cene con tartare di carne e di pesce, salumi e formaggi in abbinamento con vini liguri e italiani. Monterosso al mare e' una delle 5 Terre, che sono da anni Patrimonio Mondiale dell'umanità'. Il suo mare e' diventata Area Marina Protetta. Nel nostro territorio si possono fare diverse escursioni a piedi per tutti i livelli di difficoltà', bellissime gite in battello, immersioni, oppure noleggiare piccole imbarcazioni, e godere di pomeriggi in un mare ancora incontaminato. House Rules A Ca Da Vaniglia takes special requests – add in the next step! A Ca Da Vaniglia accepts these cards and reserves the right to temporarily hold an amount prior to arrival. Please note that the property is located in a restricted traffic area. Free parking is available 500 feet away. Please inform A Ca Da Vaniglia of your expected arrival time in advance. You can use the Special Requests box when booking, or contact the property directly using the contact details in your confirmation. Very close to beach, nice accommodation, and from every detail you may find the hotel owner impressively considerate because they have prepared so many things, blankets, plates, candle, fragrance. Anyway, l do feel at home. At this time of year (January), the flat is a bit dark, being low, off a small street. Feels a little boxed in. But I'm sure in the summer it's much more luminous. Also due to being off peak, there's no provided breakfast, and the bakery across the street was also closed. There's one local restaurant just around the corner (BarDavi) which was very nice and inexpensive. Monterosso is a beautiful little village and the rental is right in the centre of it. 10mn walk from the station but still low level (some parts of the village climb up pretty steep). Flat (one bedroom, one kitchen, one bathroom) is on first floor, in a tiny street of the "main" street going through the village. Was clean, comfortable, and Mario the host was very welcoming and helpful. Wi fi non existent. I purposefully book rooms with wifi as it is my only contact with home. There was no wifi at all in room. The owner did give us the wifi code in his restaurant but we could only use it at breakfast and it was extremely slow. If you really want wifi then this us not the room for you. The apartment was very nice though it has no external windows, only a skylight. 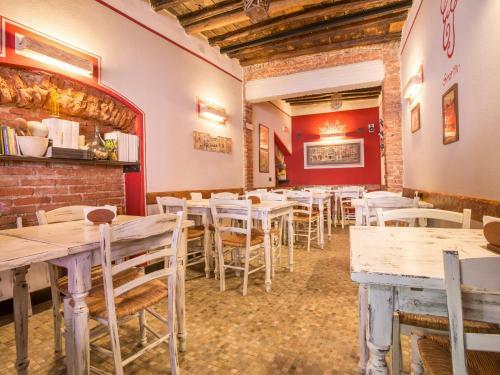 The location is great, being only a short walk to restaurants, beach, train station and bars. Breakfast buffet was good. It was such a lovely apartment with everything we needed. The location was excellent and the hosts very accommodating. The breakfast selection was also good. Being overcharged by close to 300 euro and even though our stay was nearly a month ago, not being refunded the money (despite providing the necessary information). The host was very apologetic the first day after we discovered we'd been overcharged but since then has been uncommunicative and is currently refusing to provide evidence that the transfer has taken place. Booking.com have also tried to chase this up but so far, this has not been successful. Murphy bed left a little to be desired. 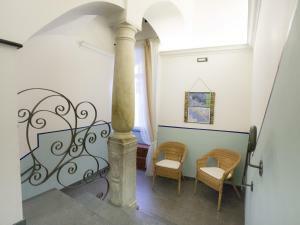 The property was right in the middle of Monterosso and an easy walk to everything, including the Station. It was very clean, and had all amenities. Would certainly stay again. The apartment was in a great location. It was clean and tidy. The hosts, Mario and Valentina were very kind and generous, we felt very welcome. The bed was very uncomfortable. It was a little tricky to find.